KUALA LUMPUR (September 15): Gamuda Land’s first foray into Singapore, located in Toa Payoh, Gem Residences is now fully sold, ahead of the scheduled handover in end 2019. 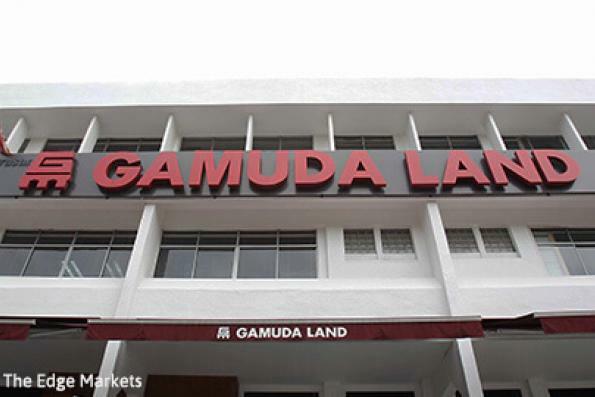 In 2015, Gamuda Land acquired the nearly 3-acre parcel for S$345.86 million (RM1 billion). Toa Payoh, Singapore’s first satellite town since 1964, is a 14-minute drive from the central business district. Launched in 2016, this Green Mark-certified private condominium has a gross development value of S$690 million (RM2 billion). It is located at the junction of Lorong 6 and Lorong 4. The two towers offer a total of 578 units with built-ups from 425 to 2,045 sq. ft. and selling prices from S$570,500 (RM1.7 million) to S$2.1 million (RM6.3 million). There are nine layouts ranging from 1 to 5-bedroom units, Duos (dual-key units), Trios (triple-key units), a 4-bedroom penthouse and a 6-bedroom penthouse. Gem Residences is said to be the first club condo in Singapore, with concierge and offers unique facilities such as a pet pool and a pet shower. Ngan said that about 45% of Gem Residences is devoted to green spaces for residents to enjoy. Ngan also stated the company’s intentions for Singapore. “We are actively looking for strategic opportunities in this vibrant Lion City,” he said.